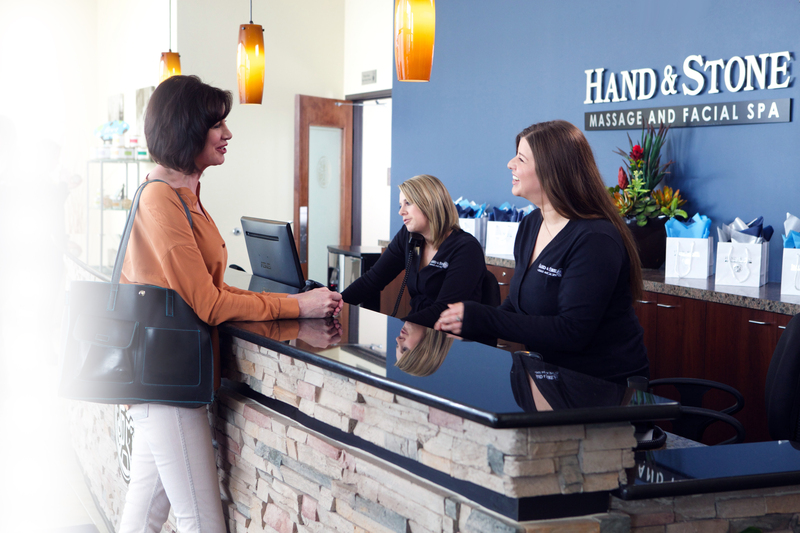 The Hand & Stone Rewards Points program (“Program”) is designed to help you get the most out of your membership. We reward you for doing the things you already do, getting your monthly massage or facial, buying gift cards or other products and services, referring friends and even for booking your appointment online. As a member of the Lifestyle Program you are automatically enrolled in the program and agree to its Terms and Conditions below. If you choose not to participate, please let your membership location know, but why wouldn’t you want to earn free services and products just for relaxing! Being eligible for the Program entitles Lifestyle Program members (“Members”) to take advantage of certain Program Rewards (“Rewards”) that may change from time to time and, which may be made available for limited times, all as determined by Hand & Stone in its sole discretion. 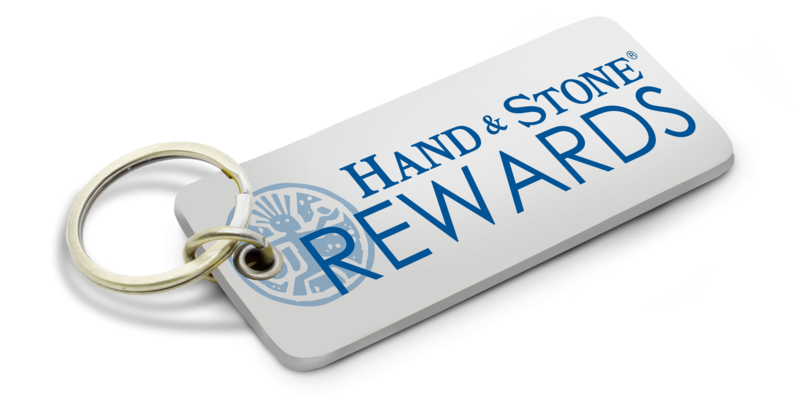 Hand & Stone reserves the right to modify these Rewards Terms and Conditions at any time, without notice to you, so please check the Rewards Terms and Conditions periodically. Participation in the Program and/or redemption of Rewards is considered acceptance of these Rewards Terms and Conditions and any modified terms included therein. Hand and Stone may, in its sole and absolute discretion, cancel, change, suspend or modify any aspect of the Program and/or any Program Reward at any time, including the availability of any Program Reward, without notice. 1,000 Points for every friend you refer to Hand & Stone. The friend must provide your name at appointment and you will be credited with the referral after your friend’s first service at Hand and Stone. You will earn Rewards Points for purchases at any Hand & Stone location in the United States, but not for purchases online or in Canada. Hand & Stone reserves the right to suspend, terminate, revalue or modify, without liability, or notice to Members, all or part of the Points’ value structure and offers and any merchandise or service. You can check your Rewards Points balance on your account page. Rewards points may only be redeemed at U.S. locations and may not be used in Canada or for online purchases. Only one award redeemed from Rewards Points may be used per visit. Hand & Stone may, in its sole and absolute discretion, cancel, change, suspend, or modify any aspect of the Program and/or any Reward at any time, including the availability of any Reward, without notice. Hand & Stone may, in its sole and absolute discretion, terminate or suspend any Member’s participation in the Program for breach of these Rewards Terms and Conditions, or for taking any actions that are inconsistent with the intent of these Terms and Conditions.